Funko Pop! How to train your dragon 3 figure is articulated as Toothless dragon. It is made of high quality vinyl, which is safe for kids. The cute toothless vinyl figure comes in size of 3 ¾ inches. 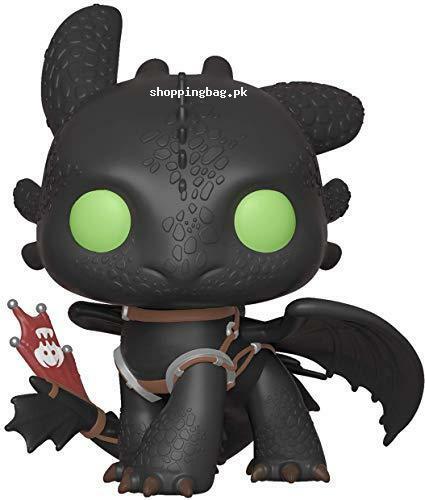 It would be the best gift toy for kids, who are collecting the vinyl figures of how to train your dragon season. Order now and get it from funko pop figures Amazon online shopping in Pakistan.